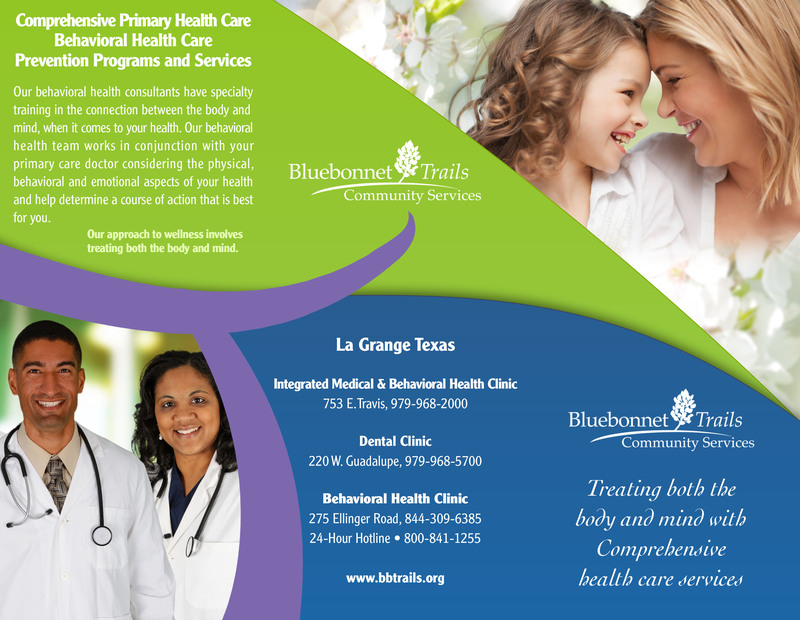 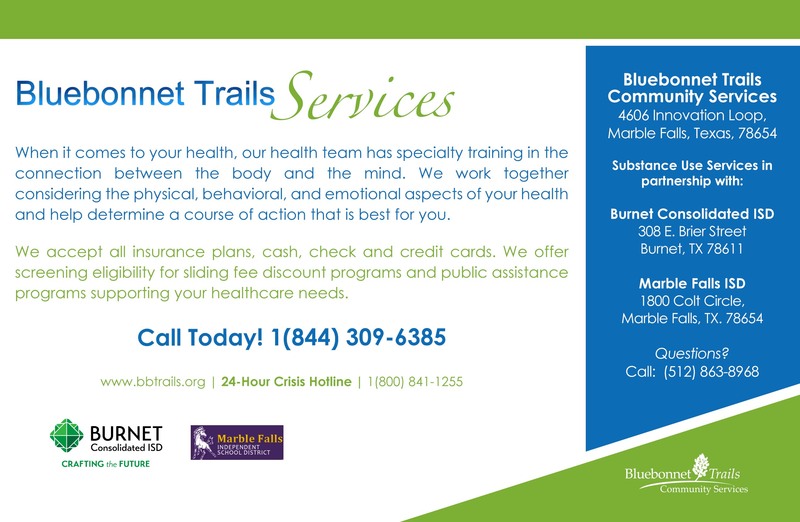 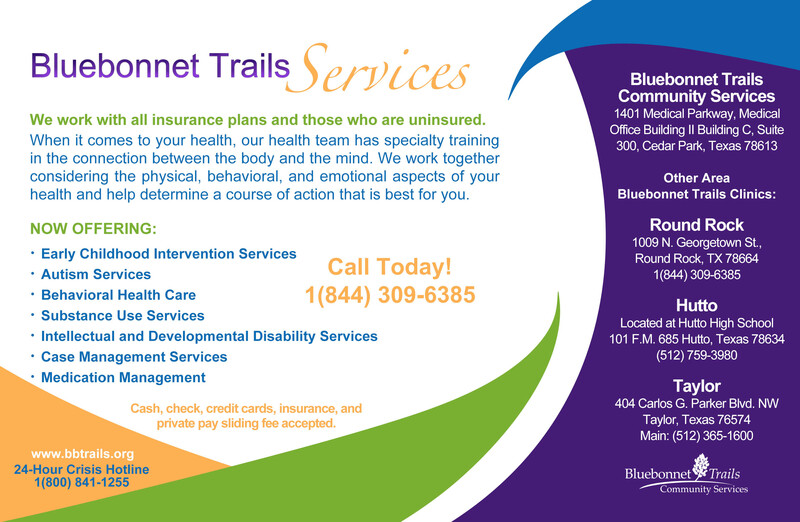 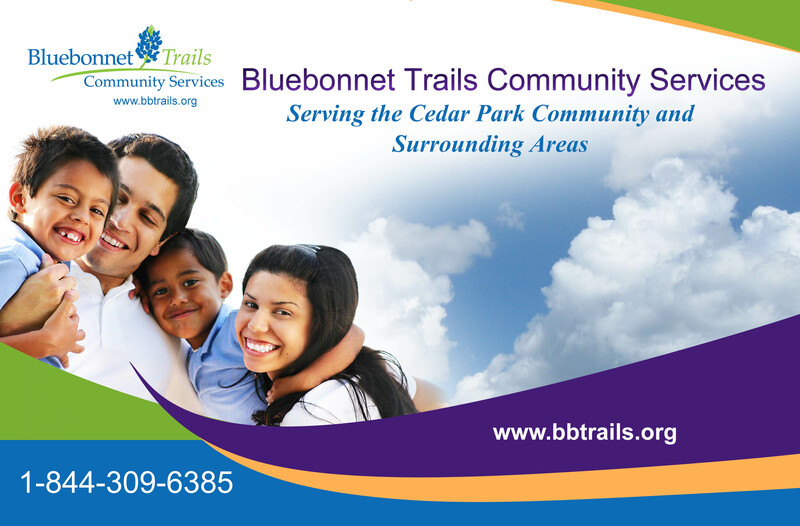 Bluebonnet Trails Community Services is excited to add medical and dental healthcare to the menu of services! 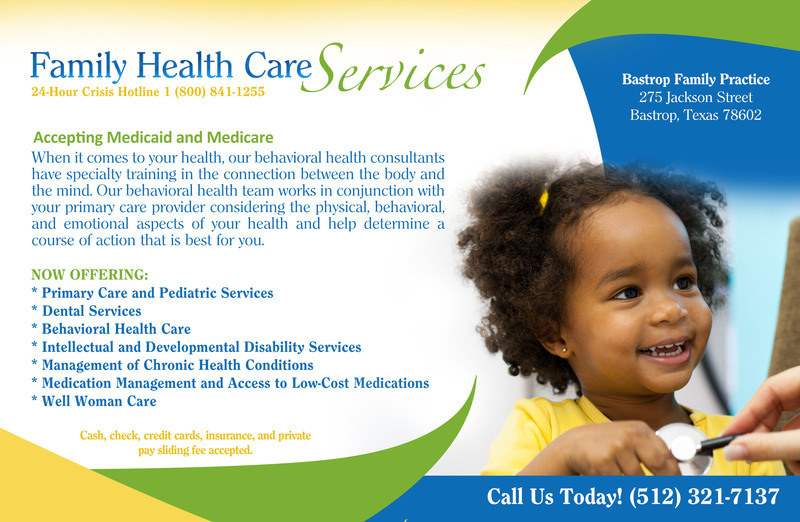 We recognize easy access to healthcare options is important. 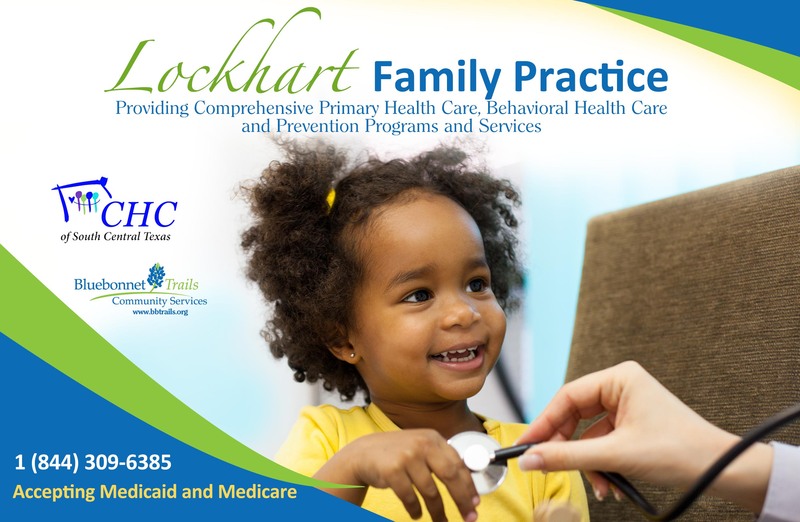 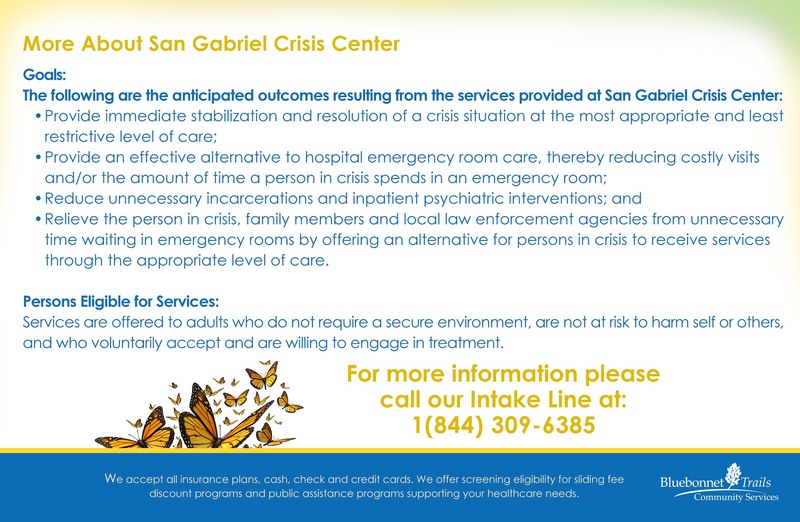 Our family health centers and practices offer access to a full array of healthcare services including medical, dental, mental health, developmental health and substance abuse services. 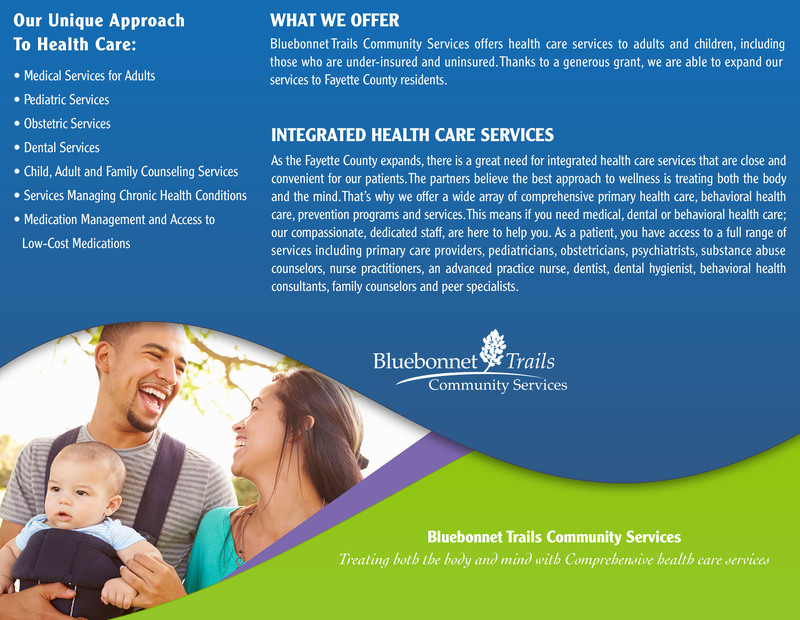 Our collaborative healthcare teams provide care for the whole person to reach a healthy and fulfilled lifestyle. Appointments for services are available at the location most convenient for you! 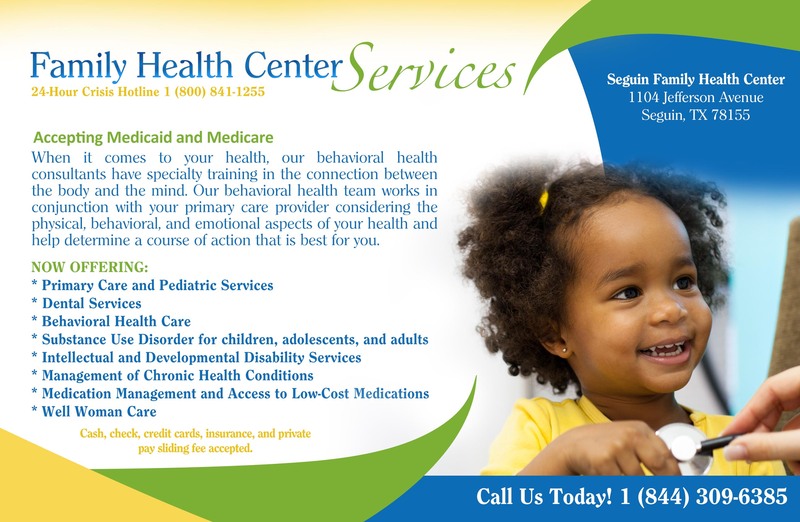 Medical Healthcare: Medical care and preventative care focusing on overall wellbeing including general medical services, pediatric care and women’s wellness. 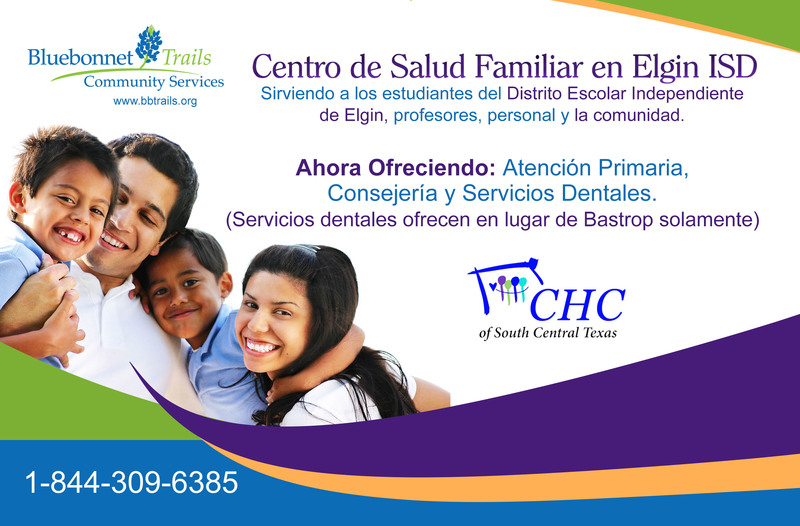 Dental Healthcare: Our services include routine dental exams, cleanings, fillings, crowns, dentures as well as periodontal cleaning and treatment. 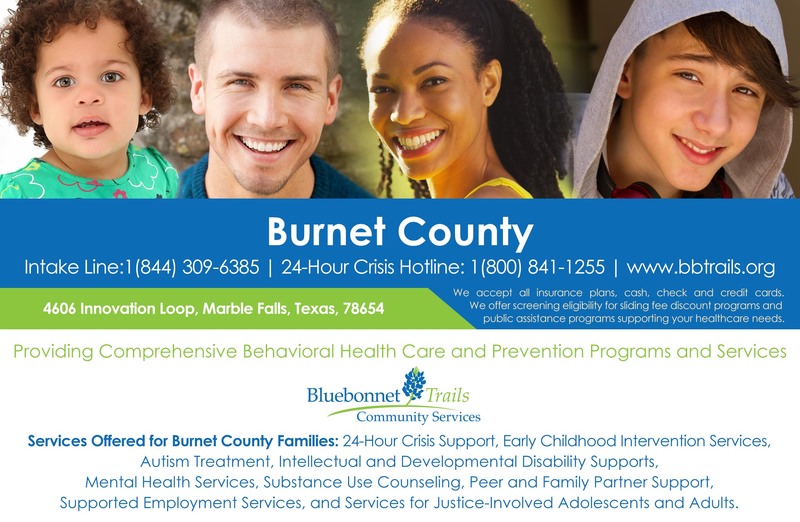 Mental Healthcare: Wellness and recovery options for children, adults and families including crisis services, screening, counseling, case management, medication management, employment assistance, coping and life skills training. 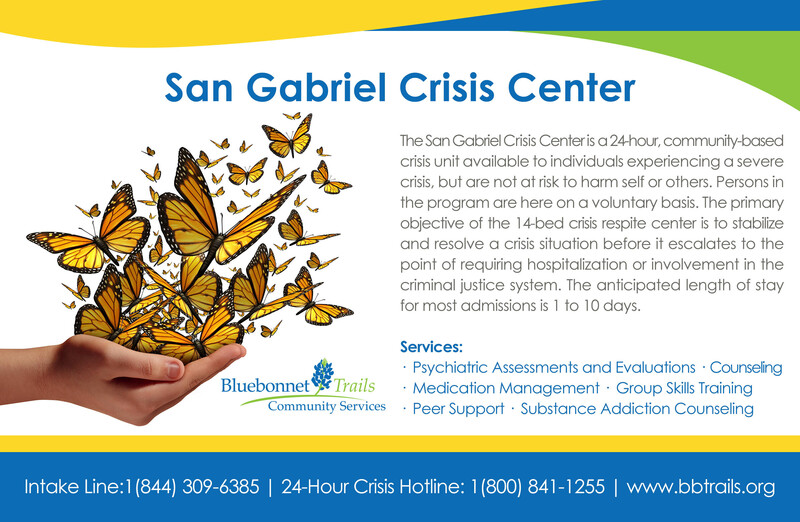 Substance Use Services: Our licensed substance abuse counselors work collaboratively with individuals to create a recovery plan including meaningful goals and interventions supporting individual success and promoting long-term recovery. 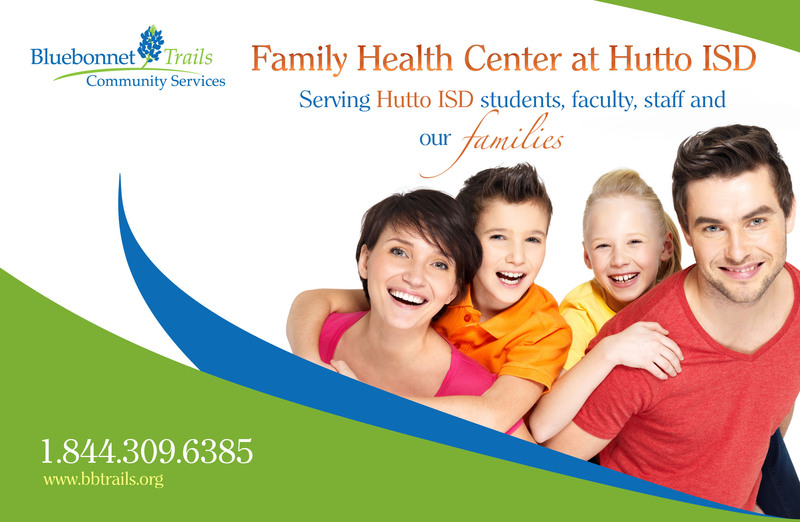 Our counselors provide programs for adolescents and adults. Developmental Healthcare: Intervention, therapies and supports throughout a lifetime allowing persons to reach their greatest potential – including early intervention for babies and toddlers, autism services, enrichment centers, respite, companion care, community supports, employment assistance and services coordination. 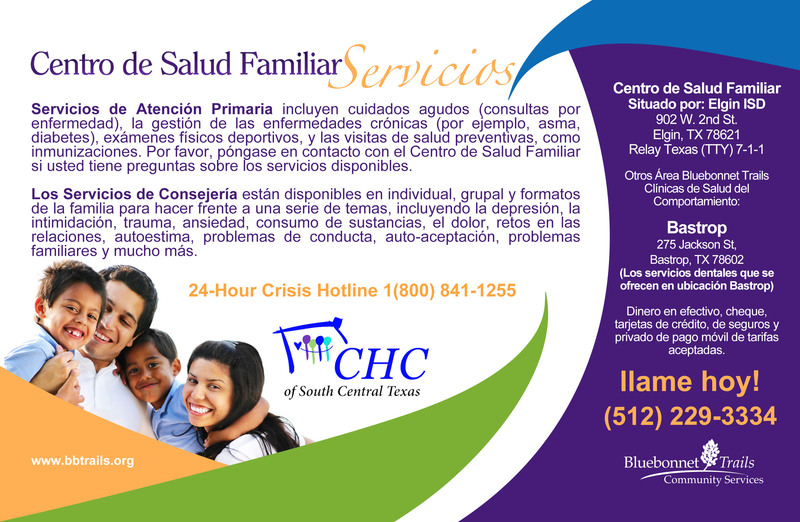 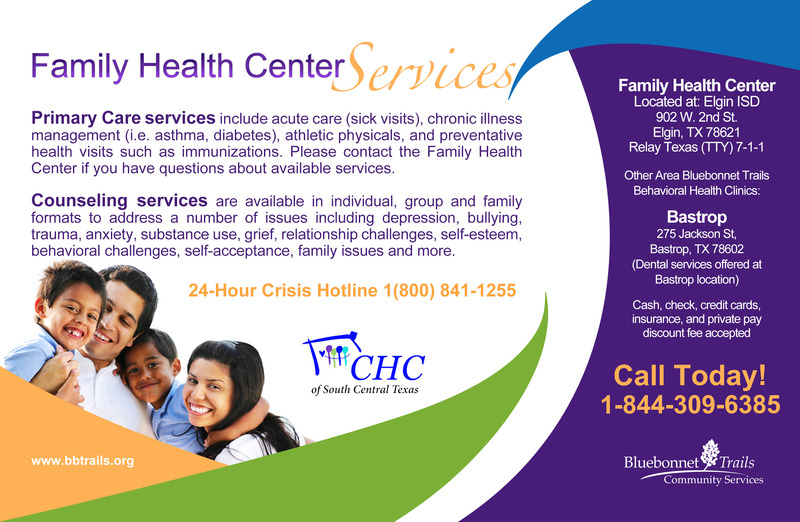 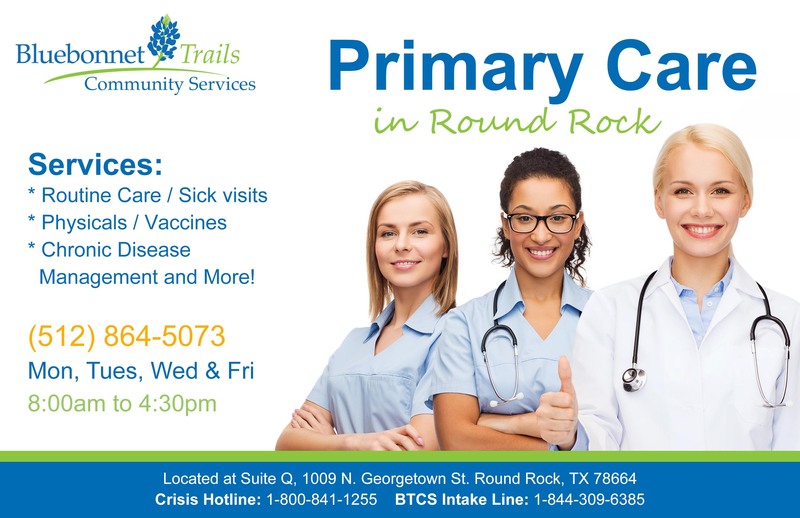 We offer family health centers located in a school setting for convenient access to services! 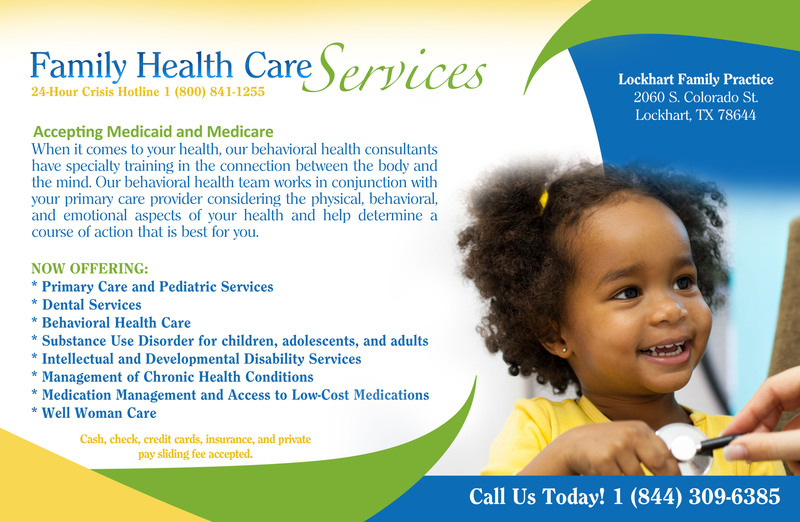 Medical Healthcare: Immunizations, screenings, athletic and DOT physicals, chronic illnesses (i.e. 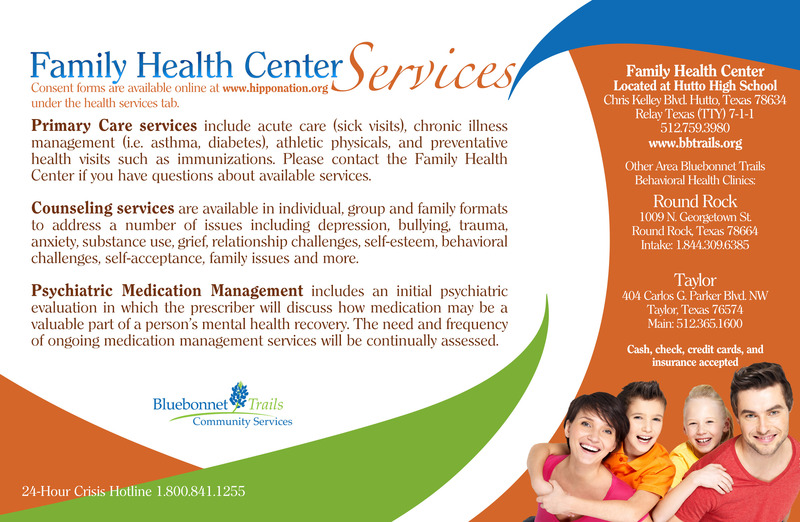 asthma and diabetes care), and sick visits.